Pedestrians and bikers will be able to use the Key Bridge on Inauguration Day, as long as they remain in the walk/bike paths and on sidewalks. WASHINGTON -- Security and transportation officials said pedestrians will now be allowed to use all bridges from Virginia into D.C. on Inauguration Day. An earlier plan allowed pedestrians to use the Memorial and Chain bridges. Now, they can run, walk, bike or Segway across the Key, 14th Street and Roosevelt bridges, as long as they remain in the walk/bike paths and on sidewalks, officials say. Virginia State Police say pedestrians must keep off the road, especially on the 14th Street Bridge, for safety reasons. Meanwhile, all Virginia bridges across the Potomac River into D.C. will be closed to personal cars on Inauguration Day. Some northern Virginia congressmen have asked the Secret Service to reconsider its transportation plan to provide more choices for northern Virginians. The U.S. Coast Guard said it has approved water taxi service from Virginia to D.C. on Inauguration Day. 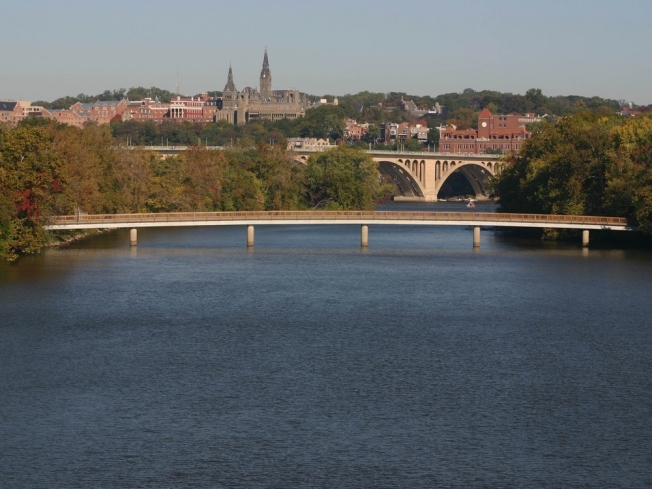 The Inaugural Water Taxi will be provided by the Potomac Riverboat Co., for $90 roundtrip or $50 one way. The taxi will depart from the Alexandria City Marina at Union and Cameron streets in Old Town Alexandria and arrive at the Southwest Waterfront's Pier 4, at 600 Water St. in D.C.
Officials said passengers will disembark one mile from the National Mall and the nearest entrance for ticket-holders to President-elect Barack Obama's swearing-in ceremony. Timed tickets go on sale Monday at www.inauguralwatertaxi.com.